This week we added something called ‘Kollecto Value Scores’ to each piece of artwork we show to clients. The intent is to start helping people identify WHY certain artwork is interesting & what the trade-offs are. 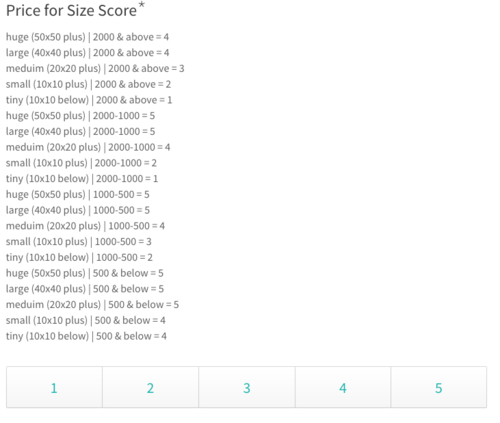 You can see the new ‘Value Scores’ in the product below. This was a small change, but I hope it’s useful for our users! Any ideas on how I can get feedback from users on how helpful they found this addition? I’d love to pull feedback based on behavior vs. surveying a small set of users. Obviously the scoring system is a bit relative, but we tried to build a system that was skewed towards the most important characteristics of sub-$3000 art.